For years I've been nagging Shira about visiting Kenilworth Aquatic Gardens, and this last weekend, we finally made it there. We rode our bikes, which was a little over 24 miles round trip and contained some wonderful stretches of trail. 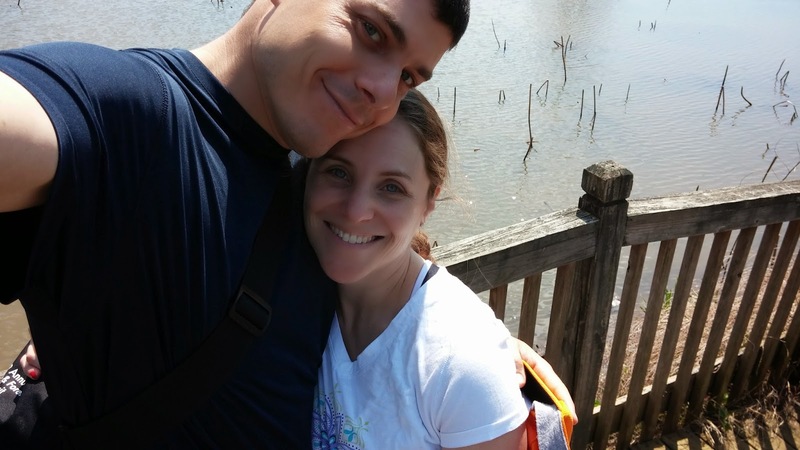 The gardens consist of a series of ponds, a hiking trail (which we didn't do) and a boardwalk. Apparently, the plants that live in the ponds bloom around June or July, so on the surface, it didn't look like much was going on. However, we ended up seeing quite a bit of wildlife and views really are amazing. 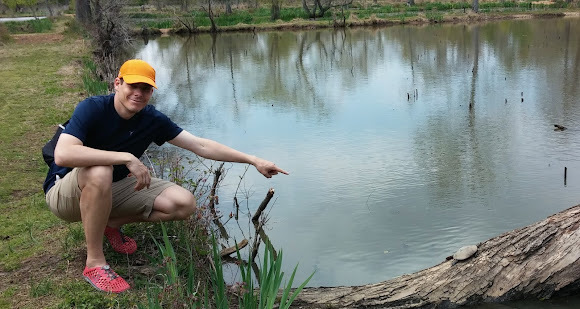 As for specifics, we saw a Great Egreg, a few Blue Herons, a big 'ol hawk, two different types of lizards, a chilaxing frog and a Black Rat Snake. And turtles (or tortoises?). Lots and lots of turtles. 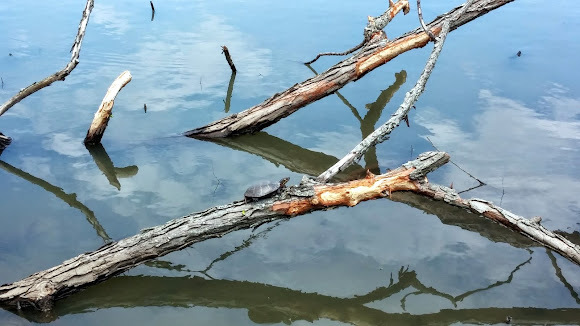 From too-cute baby turtles, to two large snapping turtles that were either fighting or mating (just like in humans, to the untrained eye it's hard to tell the difference). I left really impressed. Sure, the boardwalk isn't quite as exotic as say strolling through the Florida Everglades, but when you consider the proximity to DC, it's definitely a winner. 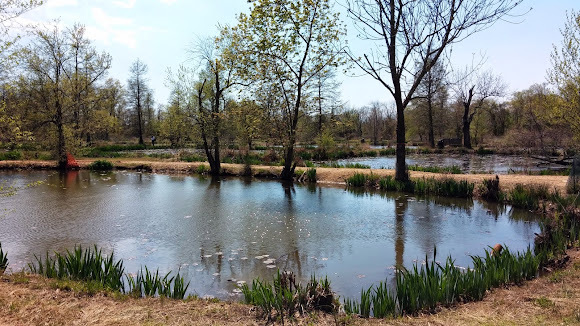 In many respects, it's like Theodore Roosevelt Island: potentially easy to dismiss, but truly a wonderful place to explore with kids and a nature lover's oasis so close to home. Shira was in charge of capturing photos. I'm looking forward to going back with my DSLR where I can document each and every turtle from each and every angle.